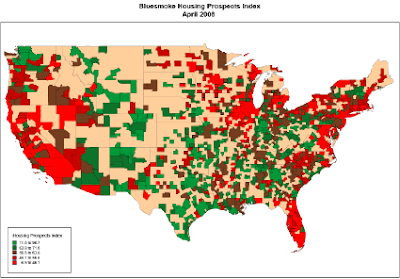 The Housing Chronicles Blog: "Best & worst places for housing prospects"
We’ve updated our Prospects Index calculations based on the latest historical data and forecasts for key housing metrics, including market equilibrium, economic outlook, home price risk, and long-term home price appreciation. So it’s time to feature our new best and worst places for housing prospects. Before we get into the list, it’s important to note our emphasis on prospects. Our index calculations are meant to give a picture of what we expect these markets to be like in 3-5 years. While the market equilibrium is current, the other variables are based on the most recent forecasts out for five years. For a more complete list, see the post: you might be surprised!